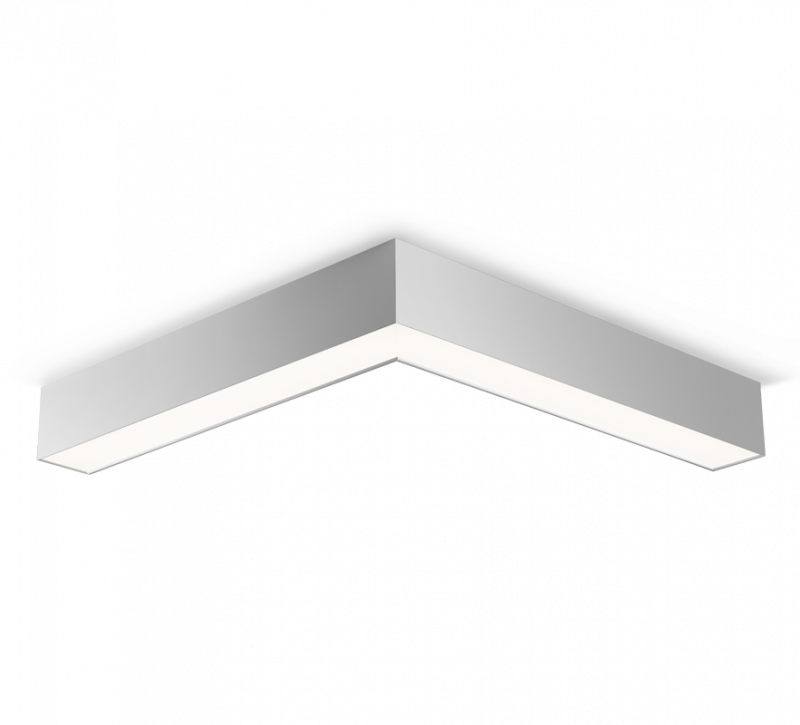 ﻿Lina80 family corner pendant luminaire with direct/indirect emission and nominal output of 115 lm/W and featuring the practical L-Click system. The illuminated corners create a dimensionally interesting lighting system. Use the hidden connections that do not emit any light to variably combine with linear Lina80 luminaires into the desired shape.